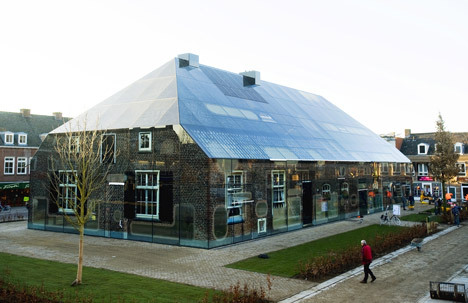 This shop and office complex by Dutch architects MVRDV is disguised as an old farmhouse, but its walls and roof are actually made from glass. 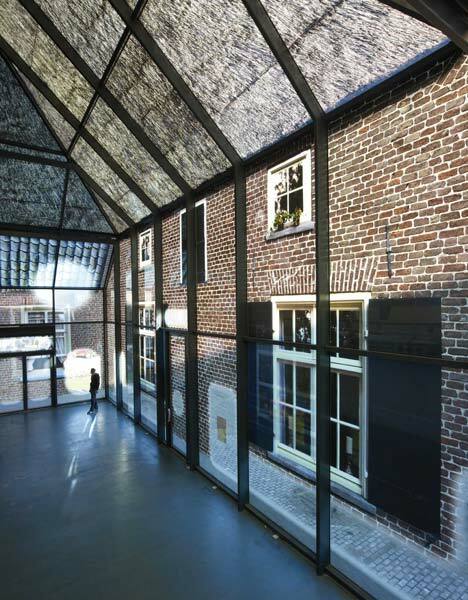 The building is located in the market square of small Dutch town Schijndel, where MVRDV partner Winy Maas grew up. The town suffered damages during World War II, and Maas has been campaigning since the 1980s to replace a destroyed structure in the space between the church and the town hall. 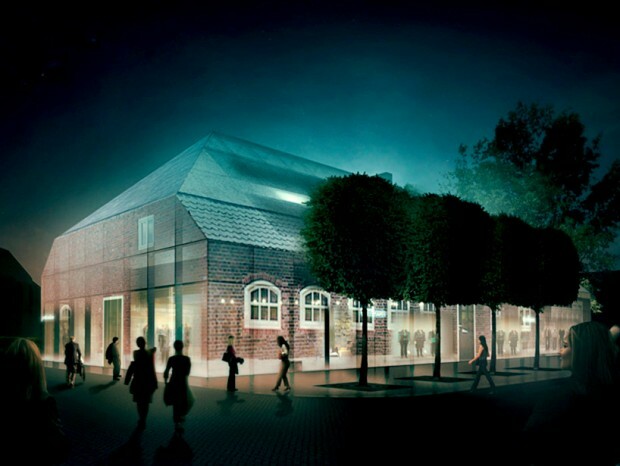 Thirty years and six failed proposals later, the architects and the town council agreed to develop the site within the traditional building envelope specified by the town planners. 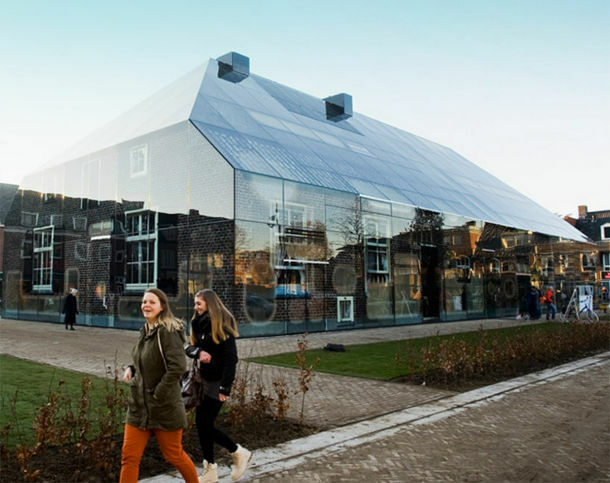 MVRDV reinterpreted this volume in glass, then compiled photographs of traditional local farmhouses by artist Frank van der Salm and created a collage of images to apply to each surface of the facade. Using a fritting technique the architects were able to print the images straight onto the glass, creating the illusion of brick walls and a thatched roof. The actual windows and doors don't line up with the printed images, so entrances look like they pass through brick walls and windows appear as semi-transparent blobs.